This is it! 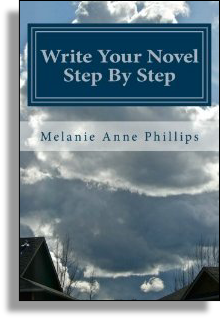 Step by step you have developed every detail of your novel from plot and characters to theme and genre. You have created overarching concepts and penned a point-by-point guide to everything that will happen and the order in which it will occur. That’s one heck of a lot of determination and perseverance. There is only one step left – to actually write the novel itself, just as your readers will experience it. Use your synopsis as flowing narrative, your chapters as pearls on a string, and your treatment as a blueprint. Each provides a different angle on your novel – a different kind of guide. Now, using all three for reference, start with your first chapter and tell your story from tip to tail with all the style and passion it deserves! Don't be afraid to move story points around from one chapter to another, even at this late stage of the game. Inspiration doesn’t shut off just because you have an airtight plan for your novel. As long as you don't break any threads of logic and put things out of order, you can rearrange story points to make your progression more balanced, more interesting, and perhaps less predictable. And, don’t be afraid to add new material or take a different turn if you get inspired while in the process of writing. Happens all the time. The Muse never sleeps; she just goes on vacation for a bit every now and then. Just be sure that any additions or changes you make don’t violate the seamless flow you worked so long to create or open new holes where there weren’t any before. Of course, you will likely go through many revisions on your way to a final draft. But the work you have done in this step-by-step method has created the entire framework as well as much of the fabric of the novel you set out to write. Well, that’s it. I hope you have found this step by step method useful and inspiring. Now, get on with it and create what you’ve gone through this whole process to achieve: your completed novel. Thanks for allowing me to join you on this journey, and best wishes for all your writing endeavors! This method used in this book is based on our best-selling StoryWeaver Step By Step Story Development software. You can get a for just $29.95 or try a free demo at Storymind.com. 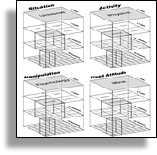 If you’d like to explore other aspects of story structure, storytelling or creative writing, check out our blogs at Storymind.com/blog and at Dramaticapedia.com.